Special Exhibition "Lascaux: The Cave Paintings of the Ice Age"
The National Museum of Nature and Science, the Mainichi Newspapers, and Tokyo Broadcasting System Television, Inc. will hold a special exhibition, “Lascaux: The Cave Paintings of the Ice Age”, from Tuesday, Nov. 1, 2016 to Friday, Feb. 19, 2017. About 20,000 years ago, dynamic pictures of animals were painted on the walls of caves found in southwestern France, the Lascaux Caves. The paintings were done by the Cro-Magnons. The Lascaux Cave paintings display richness in color and technique and the numerous depictions of animals are particularly astonishing that, in 1979, they were designated a UNESCO World Heritage. 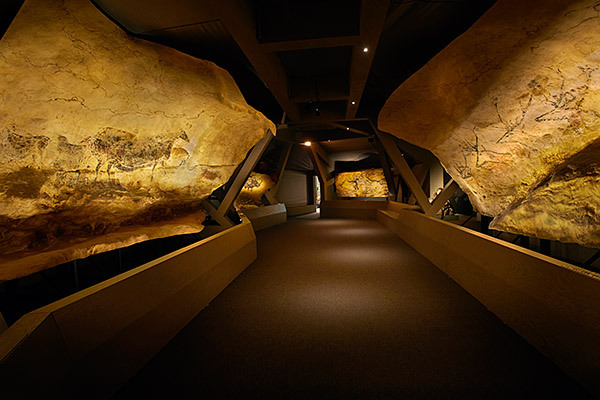 In the exhibition, as well as introducing the full scope of the mysteries surrounding the Lascaux Caves, the artistic sculptures and various tools the Cro-Magnons used will be shown, leading the visitors on a tour to learn about humankind’s wealth of creativity and the dawning of art 20,000 years ago. *Opening days, hours etc. are subject to alteration. Please check the website before your visit. National Museum of Nature and Science, The Mainichi Newspapers, Tokyo Broadcasting System Television, Inc.
* Prices in brackets for tickets bought by group of 20 or more visitors Tickets include admission to the permanent exhibitions. Copyright©2016 National Museum of Nature and Science. All rights reserved.